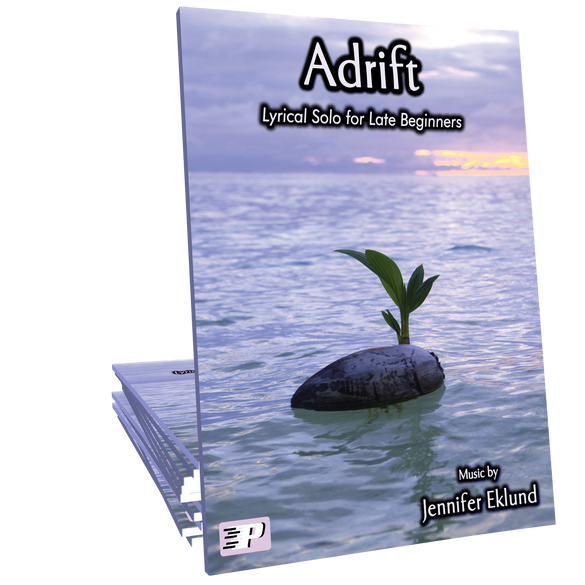 Adrift is a pensive lyrical solo full of unique jazz harmonies, but easy enough for beginners and late-beginners. 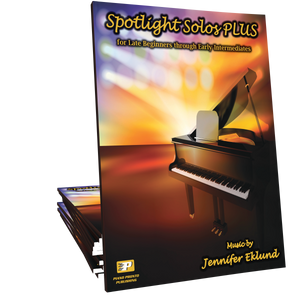 The sophisticated harmonies, and free-floating rubato form using multiple octaves, will make students of all ages feel successful in the early stages of lessons! This is a standard now in my studio repertoire. The slow melodic movement allows students to focus on expression and drama, and the harmonic structure is a great way to introduce jazz theory. Impressive and lovely piece that encourages students to play with expression. This is a beautiful piece. Been enjoying watching my students learn this piece. My students are REALLY loving this piece. SO pretty! Absolutely gorgeous harmonies! 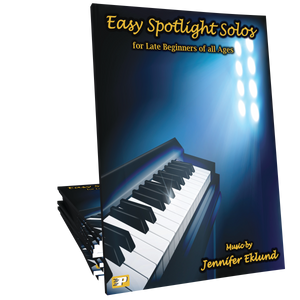 It is a perfect piece for teaching phrasing & musicianship to beginner students. It would also be a great recital option for students. 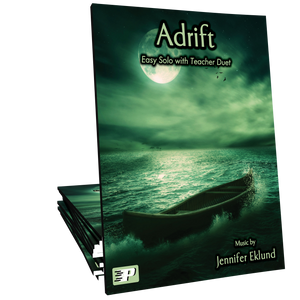 This melody is light and airy like sunlight dancing off the water. I like the use of the upper octave. This would make a lovely recital piece. Beautiful!